What can practical intervention tell us about how abstract concepts such as place, community, dislocation and belonging, as theorised by contemporary academics, map onto the 'real life' experiences of vulnerable social groups? Can one or more models of performance practices help ease feelings of 'dislocation' among community participants, where such feelings exist? How might such models be evaluated, disseminated and made fully accessible to community theatre organisations? After a two-day planning intensive with Half Moon artists and facilitators (April 2012), we devised a subset of these research questions specifically for the Half Moon Place project. How might the performance project at Half Moon identify and ‘ease’ a fear of place? How is everyday place ‘performed’? How does expressing everyday place through performance shift the quotidian? Are extraordinary e.g. ‘special’ places important? How do performance practices help demonstrate ‘special places’? How does performance help enhance a relationship with a special or extraordinary place? Relationship between the two sets of research questions (pdf). Half Moon’s Place project was designed to interrogate these questions. * represents formal outcomes. Additional dissemination has taken place at academic conferences and seminars. Further outcomes will succeed this Practice as Research website when the remaining two practical Place projects are completed. Situated in east London on the borders of Tower Hamlets and Limehouse, Half Moon Young People’s Theatre is a rare building-based organisation focussed solely on theatre with and for young people. It produces theatre, runs youth programmes and is a receiving house for young people's theatre. Choosing Half Moon Young People’s Theatre as one of three community bases within the overall research project was because of its geographical location, the age of the participants and a longstanding productive working relationship between Central and Half Moon. 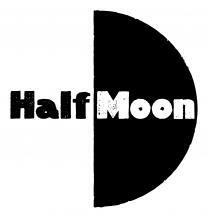 See Sally Mackey talking about Half Moon below for more on this. The primary research methodology for Challenging Place has been practice as research. Further details about the Research Methodology (pdf) offers more detail about this and reflects on some of the opportunities and challenges inherent in the project. ‘Planning the Activities’, one section further into the site, offers a range of evidence of the research methods used. Scoring the entire research process has been the complex theoretical and practical exploration of ‘place’. The next section offers some selected thinking about place.